Why Big Fat Indian Weddings Are Moving Away From Highways? 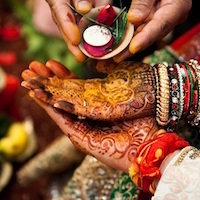 Home / Extras / Why Big Fat Indian Weddings Are Moving Away From Highways? 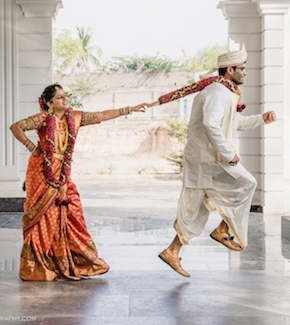 Weddings are a special affair throughout the world but India takes it to the next level. "Big fat Indian weddings" is the phrase used to describe weddings in our country. We have traditions to follow, ceremonies to conduct, clothes to buy and food and beverages to serve. 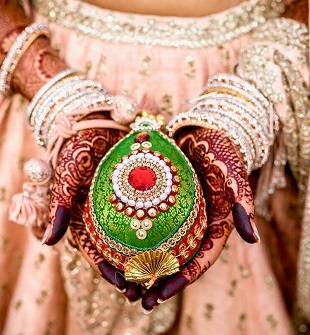 All this and more make Indian weddings the grand affair that they are. Are Big Fat Indian Weddings Moving Away From Highways? In the past years, these Big Fat Indian Weddings had begun shifting to the highways. But recently due to various reasons, people have started to prefer banquet halls within the cities again. Alcohol has been served in weddings since a long time but nowadays people take it to the next level. Right from quantity, quality to the presentation, everything matters in the case of alcohol now. Indian weddings now have a greater focus on making food and beverages experiences with decorated bars serving premium wines, single malts, and cocktails. Companies like Diageo, Pernod Ricard, and William Grant are helping wedding planners in setting up bars at weddings in return of their promotion. In fact, people have started to associate different liquor with different events. Glenfiddich for wedding ceremonies, Monkey Shoulder’s cheeky cocktails for bachelor’s party and Hendrick for Mehendi have become some of the favorites. Even the Supreme Court ban on serving liquor within 500 meters from national and state highways with effect from April 1 has not deterred the people from serving less or no alcohol at weddings. In fact, the hosts have taken to shift their venues away from highways as they do not want to compromise on the alcohol. Due to this ban the 80% banquet halls in the Delhi-Chandigarh area, a key belt for fat Indian weddings, located near highways have experienced a reduction in the number of their customers. Highways are on the outskirts of the cities, thus, far away from our homes. Also, due to the increasing popularity of farmhouses along highways, the banquet halls have reduced their rates to attract customers. The huge distance and higher costs have paved the way for people shifting back to banquet halls within the cities. Highways are vast stretches of roads which cannot have police at every nook and corner. This may lead to security issues. Theft, robbery, drunk driving, and brawls between drunk people are common problems. As safety is the priority, those who can not afford bouncers have decided to move the venue. Highways are considered to be the most accident-prone areas. To ensure the safety of their kin, people prefer to have weddings in cities which are better in terms of road safety as compared to the highways. Due to the worsened situation of traffic people have begun to prefer wedding venues closer to home.If by chance you forget something, it becomes almost impossible to get it at the venue on time causing problems. That is why the big fat Indian weddings are moving away from the highways. The shifting of wedding venues from highways will continue due to these reasons. So, if you have any upcoming weddings in your family book a venue in the city already. Isha, a budding statistician with a knack for writing, an obsession of reading and passion for food.